The symptoms of heat stroke include discoloration, rapid heart rate, headache, and difficulty breathing. As millions of kids engage in strenuous play under the late summer heat, it’s important to learn and recognize the signs of heat stroke. Returning to school means sports practices and afternoons on the playground can leave young ones exposed to the risk of heat-related illness. If you or anyone else exhibit the symptoms of heat stroke, call 911 or seek medical attention at an emergency room immediately. The most common sign of heat stroke is a body temperature that reaches as high as 104 degrees Fahrenheit. A normal body temperature is 98.6 degrees, and when the body’s thermoregulatory system breaks down, hyperthermia can occur. Heat stroke can cause confusion, delirium, slurred speech, agitation and even seizures or a coma. Heat stroke is typically accompanied by a throbbing headache, nausea or dizziness. A victim’s skin can become flushed with a red discoloration as a result of an increased body temperature. Heat stroke makes breathing difficult and often results in quick, short breaths. When suffering from heat stroke, a person’s heart must work harder in order to cool the body temperature down, resulting in an increased heart rate. It’s important to check the victim’s heart rate to see if it falls within normal levels. Despite hot temperatures and strenuous exercise, heat stroke victims actually stop sweating and their skin becomes dry to the touch. Before heat stroke, someone may suffer from heat exhaustion. Heat exhaustion brings on excessive thirst and sweating accompanied by muscle cramps and lightheadedness. If a person is showing signs of heat exhaustion, he or she should retreat to the shade and rehydrate. Heat stroke can be the potentially fatal consequence of not quickly cooling down when suffering from heat exhaustion. When children or adults exhibit signs of heat stroke, 911 should be called immediately. 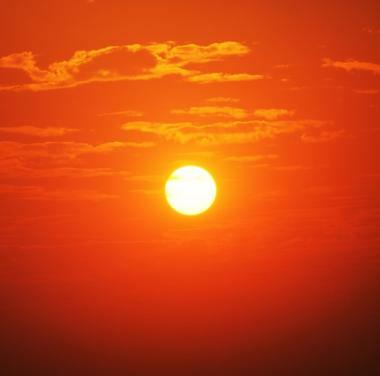 If left untreated, heat stroke can result in brain damage and even death. Until medical help arrives, get them into a cool indoor space or in shade and remove any excess clothing. Get them to drink cold water and moisten their skin with cold water or ice. Apply ice packs to their groin, neck, armpits, and back, as these areas have a greater number of blood vessels that are close to the skin and will help cool the body faster. FastMed Urgent Care helps to keep people safe from heat-related illnesses. Our tips to staying safe in the sun can be a valuable guide in the summer months. Our locations are open seven days a week,, and our healthcare professionals are prepared to help quickly treat the symptoms of most heat-related illnesses.